Having acquainted yourself with the built-in apps installed on your iPhone, you may want to reach outside the sandbox for more interesting fare. The App Store, which you can access on your device or via iTunes on your computer, features more than 900,000 downloadable apps. If you have something you want to do on your iPhone, chances are you can find it in the App Store. But with so many options, separating the truly great apps from the weird and wacky ones can be difficult. This is a quick guide to navigating the wonderful world of iOS apps, along with a list of a few of our favorite third-party programs to get you started. Before we get started with app basics, know that you need an Apple ID to download anything—even free apps. It’s likely you created or entered your Apple ID up when you set up your new iPhone, but just in case: If you don’t have an account, scroll to the bottom of the App Store app and tap Create Apple ID. You can change and link your credit card information from within the app (though you can also do this from your desktop computer). iPHONE VS iPAD There are three types of apps in Apple’s App Store: ones for the iPhone and iPod touch only, ones for the iPad only, and universal apps—those you can run on any iOS device. If you browse the App Store on your iPhone, you can search for and download any apps that are universal or for the iPhone and iPod touch only. DOUBLE THE FUN Universal apps (ones that run on the iPhone, iPod touch, and iPad) have a plus button in the upper left corner of the buy/price button. If you browse apps from the iTunes Store on your computer, however, you end up searching the entire app catalog—including iPad-only apps that won’t run on your phone. To prevent this, make sure you select iPhone at the top of the window when you’re viewing the App Store in iTunes; this will limit your results to iPhone-compatible apps. Check the requirements below the price to see if the developer has updated your app to work with iOS 7. 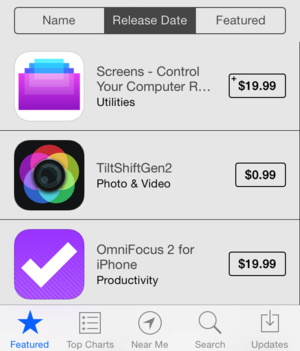 If you want an app that will also run on an iPad, look for the plus sign (+) in the upper left corner of the price tag, indicating that it’s a universal app—this means it has been designed from the ground up to run on both the iPhone and the iPad. Also read the Requirements section on the left side of the iTunes browsing window on your Mac, which lists all the devices that can run a particular app (some apps that are not universal can still run on multiple devices). PURCHASING APPS To download an app, simply tap its price once to bring up the green Buy App button, and then tap once more to confirm the purchase. (If the app is free, the green button will read Install App.) You’re usually prompted for your Apple ID password as a security measure. If you own an iPhone 5s and have Touch ID set up to bypass App Store passwords, you don’t need to enter your info at all; you can just hold your finger to the home button for a moment and the App Store will authenticate you that way. 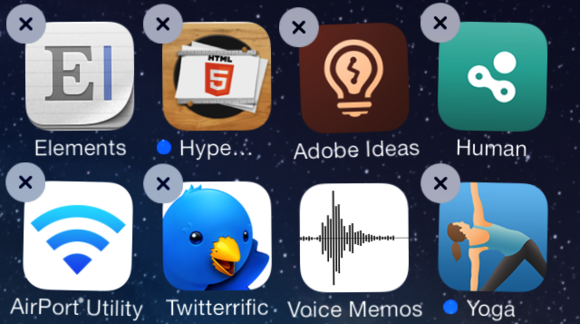 DELETING APPS If you install a third-party app that you no longer want, you can remove it by tapping and holding on its icon. The icon will begin to jiggle, and an X will appear in the top left corner. TIME TO GO No longer want an app? Tap and hold it to delete it from your iPhone. If you tap the X, you’re asked to confirm that you want to delete the app. Because apps must store all their data in the app’s package, deleting an app also deletes all of its settings and stored information. REDOWNLOADING APPS If you delete an app that you wanted to keep, you can redownload the app from the App Store (if you don’t mind losing your app’s data) or re-sync your device with iTunes. You can also do this from within iTunes on your Mac or PC. Open iTunes and go to the iTunes Store, select the App Store tab from the toolbar along the top of the window. Next, look at the Quick Links section on the right-hand side of the App Store homepage, and select Purchased. Once there, you can re-download every iOS app you’ve ever purchased or downloaded using your Apple ID. Apple gives you two ways to browse for new apps: You can use iTunes from your computer, or you can access the App Store on your iPhone while you’re on the go. If you’re on your Mac, open iTunes, select the iTunes Store, click the App Store tab at the top, and click the iPhone option underneath the tab. Using the App Store interface is similar to searching for music and videos. You’ll see a Best New Apps list to peruse, along with lists curated by the App Store’s staff. ON YOUR MAC You can browse apps by kind (iPhone or iPad) in the iTunes Store on the Mac, under App Store. When you select an app in iTunes, you see a description of what it does, a few screenshots of the app, and customer ratings. (You must own an app in order to review it yourself.) You also see other useful information on the app’s page; for example, its category, age rating, and file size—handy to know if you’re short on space. Underneath the app’s description is the URL for the developer’s website. Once you’ve downloaded an app to your computer, it’s listed under Apps in the iTunes source list. (If you have Automatic Downloads enabled on your iPhone, this app will immediately be downloaded to that device as well.) Within this section, your apps are organized into tabs: All, iPhone/iPod touch only, iPad only, List, and Updates. 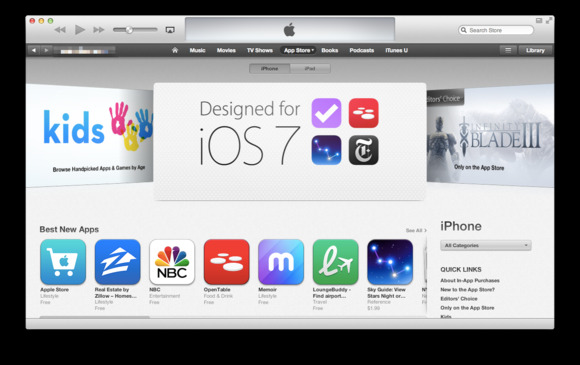 In the lower right corner, you can navigate directly to the App Store to look for more apps. GET MORE APPS You can browse through, purchase, download, and upgrade apps through the App Store on your iPhone. Tap the blue App Store icon on your home screen. By default, the app brings you to the main landing page—the Featured tab. The Featured tab is but one of the five sections within the App Store, however: The other four are Top Charts (showcasing the top-purchased and most downloaded iPhone apps); Near Me (if enabled, it shows apps that are popular in your area); Search (to find new apps); and Updates (any third-party updates and patches show up here for you to download). If you’re looking for some new apps to download, Featured and Charts are great places to start: Charts displays the top 300 paid, free, and highest-grossing iPhone apps in all the App Store. If you know the name of a specific app, you can search for it in the Search tab. If you want to know which apps are popular in your neighborhood, the Near Me tab will provide you with some suggestions. This feature may be useful if you’re in a new city and want to find apps of local interest. For privacy reasons, Near Me is turned off by default; to enable it, go to the tab and tap Show Popular Apps Near Me. UPDATE AND REDOWNLOAD Most iPhone app developers regularly update their apps to fix problems and add new features. In iOS 7, Apple added a feature that will download and install app updates automatically as they become available. This feature is on by default, but you can switch it off by opening the Settings app, tapping iTunes & App Store, then tapping the on/off toggle for Updated under the Automatic Downloads heading. 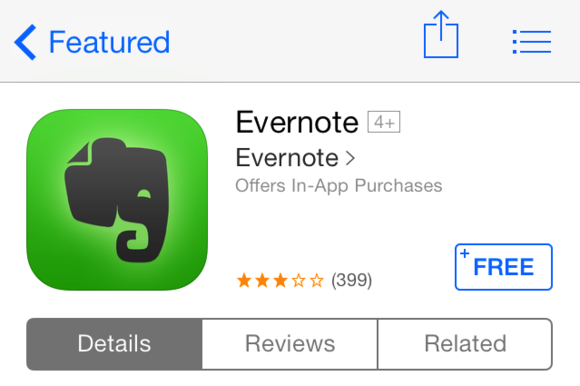 A red badge on the App Store icon shows the number of updates available for installed apps. Launch the App Store and tap the Updates tab; here, you can choose whether to update one or all of your apps to their latest versions. You can also update your apps from the Apps section in iTunes on your Mac; the updates will transfer to your device the next time you sync with iTunes. Additionally, you can see a full list of your previously purchased apps in the Updates tab of the App Store app by tapping on the Purchased link at the top of the section. LET’S DOWNLOAD IT AGAIN Miss playing that one game you deleted? You can redownload it for free from the Purchased section. You can view all your previously downloaded apps, or filter the list to see just those that are not on your iPhone. If viewing all apps, you’ll see an Open button next to those you have currently installed; apps you don’t have on your iPhone sport a cloud icon with a download arrow. Your iPhone comes packed with some great apps from Apple, but you have to venture to the App Store if you want the complete Cupertino collection. To augment the basics, the company has developed a paid mobile version of its music-editing software, GarageBand, as well as some free options, like the company’s e-reader app, iBooks; the Find My Friends app; and more. AT THE APPLE STORE Use the Apple Store apps to browse products online and even pay for small items while in your local Apple Store. Apple’s free apps perform a broad number of tasks: You can turn your device into a pocket e-reader; keep track of your friends, phone, and computer; tweak your router’s network settings; browse the Apple Store; watch movie trailers; and control your iTunes library or Apple TV from afar. Apple’s iBooks lets you read ePub books and PDFs in both portrait and landscape modes. You can purchase books from Apple’s iBookstore, organize your books, create collections, and delete books you no longer want. To find your friends, you may want to turn to Apple’s aptly named Find My Friends, an app that lets you track colleagues, family members, and friends via geolocation. (You have to opt in to the service, and your location is shared only with those you allow it to be shared with.) Lost one of your devices? Find My iPhone helps you find a wayward iPhone, iPod touch, iPad, or Mac. AirPort Utility lets you manage your Wi-Fi network and AirPort base stations from your iPhone. You can see a graphical overview of your network, get information about connected Wi-Fi devices, change network settings, restart a base station, and more from within the app. 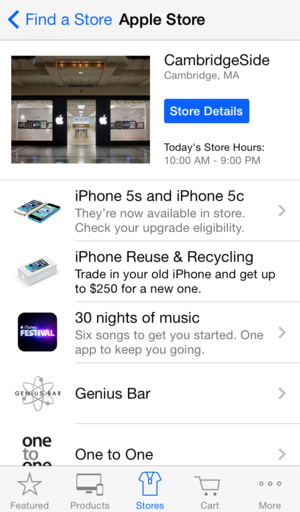 Download the Apple Store app to access the company’s store directly from your iPhone. You can buy the latest Apple products, accessories, and software; make Genius Bar and One to One appointments; view in-store events; and more. Apple’s iTunes Movie Trailers app brings the newest HD movie previews to your iPhone. Save favorite movies and plan when you’ll be going to theaters, too. If you listen to a lot of podcasts, you might want to download Apple’s Podcasts app. It stores and streams all podcasts you’re subscribed to, playing them in an easy-to-navigate interface. And for those of you who want to control iTunes and an Apple TV with just a few flicks on an iPhone, the Remote app is made for you. The app turns your iPhone into an advanced remote that can pause, rewind, and fast-forward, as well as adjust the volume. You can also use it to create and update playlists, as well as search your music and video libraries. Any new Apple products—your new iPhone included—can also download Apple’s iWork and iLife suite for free; for older devices, each app is $5. Included in these suites are Pages (a word processor), Numbers (a spreadsheet app), Keynote (a presentation app), iMovie (video editing), and iPhoto (advanced photo-editing). SOMETHING FOR NOTHING If you recently purchased an iPhone, you can download Apple's iLife and iWork apps for free. GarageBand is also available on the iPhone and iPod touch for $5; it makes music creation, editing, and exporting a snap. Create jams with smart instruments, play custom tunes, record songs, and mix your creations—all on your iPhone.